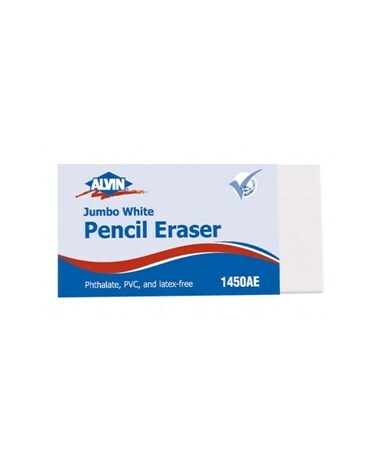 The Alvin Jumbo White Pencil Erasers - Box of 12 is designed for removing graphite marks without ghosting. It can be used on paper, drafting vellums and films making it an excellent tool for various writing, drawing and drafting needs. 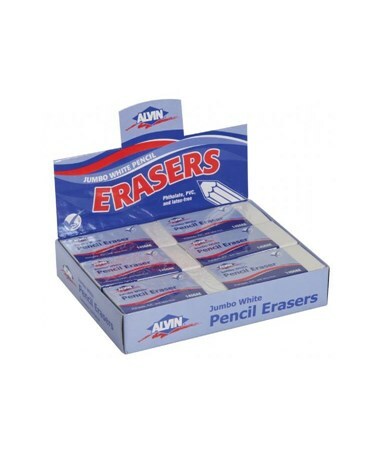 This pencil eraser package includes 12 pieces of 3"L x 1 1/2"W x 5/8"H pencil erasers. Each eraser is made of phthalate and PVC material which provides superior flexibility and durability. Non-abrasive and self-cleaning, this eraser is convenient to use. Each piece includes a protective sliding sleeve. 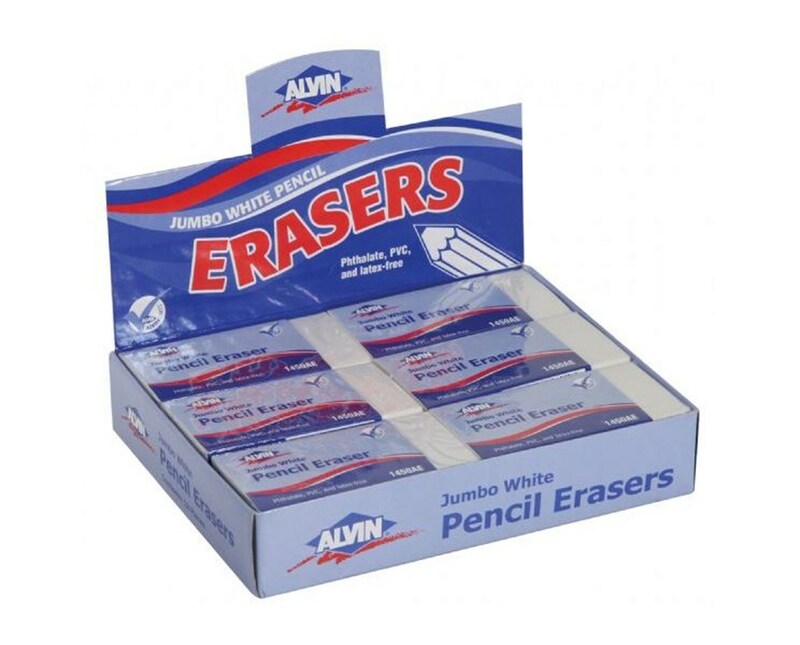 The Alvin Jumbo White Pencil Erasers - Box of 12 is latex-free and is safe to use. It comes in a 5"L x 4½"W x 4½"H display box.